Coordinating a new office project can be a long, arduous process. Whether you’re a small business moving down the road or a large organisation expanding into another city, there’s a lot of steps involved. Time pressure can leave you feeling stressed and overwhelmed, which is why it’s vital to choose a reliable partner to help you get the job done. Crest Interiors are the leaders in office fitouts across Sydney. Our team of design and building professionals offer an end-to-end solution, including strategy, design and delivery. 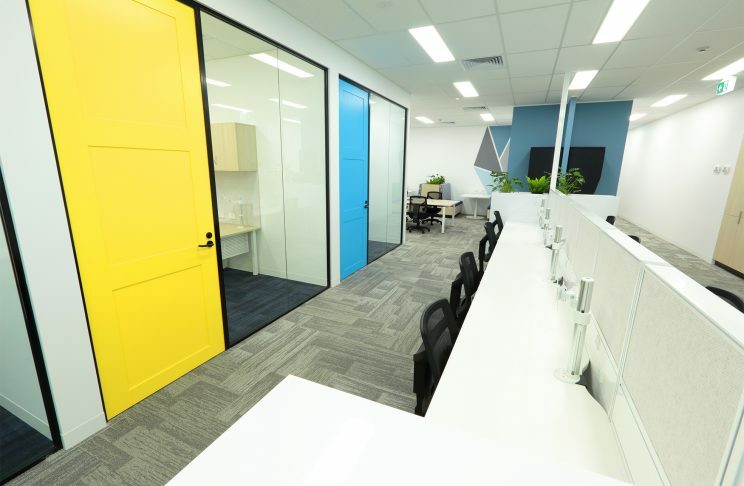 We coordinate all aspects of your project, no matter the size or scope, ensuring that you and your team will be in your new office within six months or less. Want to move by Christmas? Crest Interiors can help. Keep reading to discover the steps we take to make this happen. We listen carefully to your needs. We work closely with you to decide what you want your new workplace to look and feel like. We will help you determine your minimum fitout requirements, your aspirations and your objectives. Whether you’re refurbishing, expanding or downsizing your existing space, or moving to a brand-new location, we’ll cover everything to ensure we understand your business requirements. We do our research. We will work to understand the challenges of your building and the configuration of your workspace. We will compile all of our findings with the relevant paperwork and plans before presenting you with a bespoke solution, tailored specifically to your brand, your business objectives, and your workflow. We refine our ideas and ensure the new space will work better for your people. We will familiarise you with the intricacies and complexities of the process, including phases such as design, approval and construction. Whatever questions you have, we’ll address them and ensure you’re aware of every step to your new workspace. We agree on a personalised solution that fits within your budget and meets agreed objectives – and timeframes. Want to be in your new space by the end of the year? Not a problem for Crest Interiors. We will also determine your internal approval processes, such as who needs to sign off on different aspects of the project and where they are located. Throughout every step of the journey, from briefing and planning to design and approval through to completion and certification, we are your project management team. Crest Interiors will oversee all aspects of your office fitout and ensure you’re ready to move into your new space within the agreed timeframe, with all amenities ready to go. Office fitouts don’t have to be a lengthy, drawn out process. With the right project management team, you can be ready to move in before the year is out, no matter if you’re refurbishing or moving interstate. Save time and reduce stress by choosing Crest Interiors for your project. Call us now on 1300 761 247.